Eskom has advised its business customers of a free electricity load profile audit as part of a basket of incentives. “Load profile audits conducted by Eskom’s energy advisors assist business customers to free up existing electrical capacity without having to invest in new points of supply and/or upgrades in supply. Sufficient capacity enables customers to optimally improve their productivity and expand their operations,” said the power utility on Thursday. The Load Profile Audit and Load Optimisation Solution offered by Eskom forms part of a basket of initiatives and incentives tailored to support business growth. This is done through efficiently increasing production and improving business efficiencies, thereby improving job creation and retention to the benefit of the national economy. Recognising where and when energy is used during any given period, among others. “Opportunities for load optimisation may include establishing a regular maintenance programme, adding and managing power factor correction, switching off unnecessary equipment or processes during certain times of the day, and shifting demand from peak to off peak time-of-use periods to help free up capacity. “Eskom’s free load profile audits help to improve energy productivity across all sectors of the economy in support of business growth,” said Eskom spokesperson Khulu Phasiwe. Customers are welcome to e-mail advisoryservice@eskom.co.za and request that a free load profile audit and load optimisation procedure be conducted at their premises. Alternatively, customers can call 08600 37566, leave their name and number and request that an energy advisor in their region contact them to initiate a load optimisation audit. Eskom’s countrywide energy advisors conduct load profile audits at no cost to the customer. 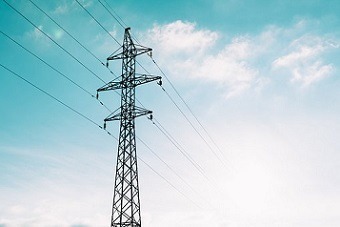 However, in-depth energy use studies that require specialised measurement equipment/services will be charged to the customer, provided the customer agrees to these costs.